President Ma Ying-jeou said Aug. 5 that the government’s East China Sea peace initiative is playing an important role in resolving disputes over the Diaoyutai Islands. ROC President Ma Ying-jeou said Aug. 5 that the government’s East China Sea peace initiative is playing an important role in resolving disputes over the Diaoyutai Islands. The president made the remarks during the East China Sea Peace Forum in Taipei City. Held by the Prospect Foundation and Fu Jen Catholic University, the event was attended by scholars and experts from more than 20 countries. Ma reaffirmed that the initiative is a viable means of peacefully addressing disagreements over the Diaoyutais. Despite the government’s rock-solid stance on ROC sovereignty over the islands, he said there is every possibility that natural resources in the region can be shared. Proposed by the president Aug. 5, 2012, the five-point initiative urges all parties to refrain from antagonistic actions; not abandon dialogue; observe international law; resolve disputes through peaceful means; and form a mechanism for exploring and developing resources on a cooperative basis. The initiative calls for Taiwan, Japan and mainland China to conduct bilateral discussions before progressing to trilateral negotiations and reaching a consensus for dispute resolution. 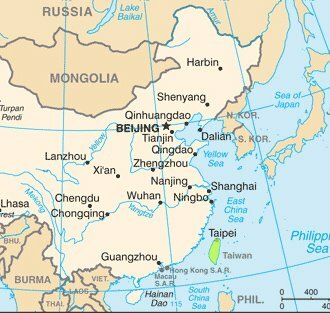 Ma said the Taiwan-Japan fisheries agreement, which took effect May 10, serves as a good example of the spirit of the East China Sea peace initiative, with Taipei and Tokyo entertaining the possibility of expanding the fisheries pact to other areas of mutual concern. Ma said he believes a similar model can be adopted by Taiwan and the Philippines in their fishery talks, as well as by other countries and territories with competing interests in the South China Sea. Richard Bush, former chairman of American Institute in Taiwan and director of the Center for Northeast Asian Policy Studies of the Brookings Institution, described the initiative as a perfect platform for reducing tensions and resolving disputes, something that other countries in the region should emulate. “Ma’s peace initiative provides a way forward, assuming that various countries concerned can agree,” Bush said.